Lulu is one of the original DIY publishing services formed in 2002 by technology entrepreneur, Bob Young. Lulu publishes over 400,000 titles per year providing online software tools for writers and artists to publish, print and product everything from books, magazines, CDs and DVDs. Lulu are a truly global company with offices in the USA, Canada, UK and India. 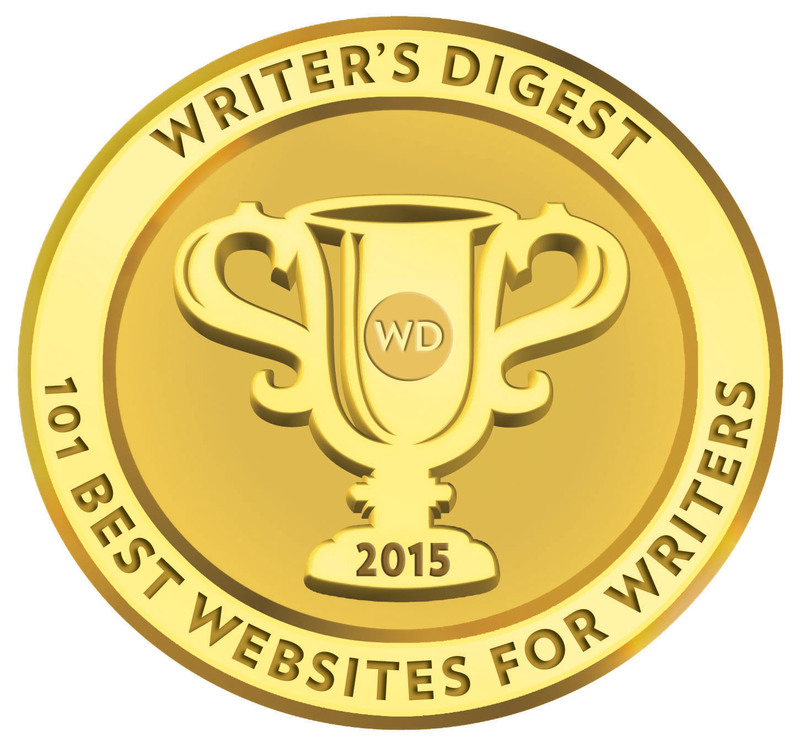 Lulu, at its most basic, appeals to both new and experienced authors, offering free publishing, and charging affordable fees for editing, marketing tools and global distribution. So diverse are Lulu’s services that they are used frequently by small and micro-presses as well as self-publishing authors. Their online homepage is bright with striking orange and white graphics and a design and presentation which is unassuming, yet, business-like. 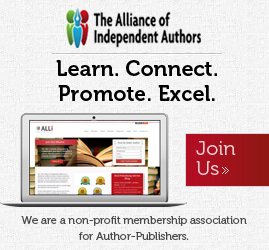 Publish, Buy and Sell are the keyword banners; clearly defining exactly what Lulu is all about for authors. Lulu is not entirely exclusive to the no-set-up-cost arena when it comes to the world of printer/publishing. 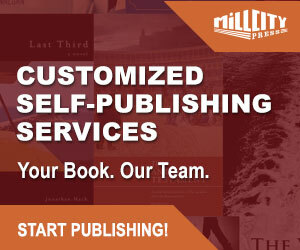 US-based DIY publishing services Createspace and Blurb also offer similar free and low-cost book publishing services. However, it is the beast beyond the front door which sets Lulu ahead of the competition, though I do have some concerns about a shift in emphasis to more prescribed self-publishing packages, rather than their off-the-shelf individual services. It should be remembered that Lulu, like most author solution services, does not carry out printing in-house. This, until 2008, was almost exclusively farmed out to Lightning Source, a global book printer and fulfilment service. Lightning Source have many large facilities, and they include print on demand digital plants in the UK and the USA. Lulu also uses online retailer Amazon’s own print and fulfilment facilities. It is time to look at Lulu’s real beast beyond the front door. Lulu’s strongest feature is its online design/converter software tools, where authors can upload their book files and within minutes—depending whether the file is an MS Word document or complete print-ready PDF file—produce a potentially professional quality book to rival any large commercial publishers. I would like to have added a second strong feature, their Live Help & Chat feature—an ideal support for new authors unfamiliar with book design software—however, Lulu dispensed with this when they implemented some recessionary cuts like many companies in the publishing industry in 2008. Before engaging with the Lulu beast, I would strongly recommend (very strongly) that perspective users fully read the Help FAQ pages, in full detail, as there is a considerable amount of information there which will avoid many later problems and frustrations. I have trawled through Lulu’s online forums and found many users posting there who have clearly not read these help pages, and have simply dived in at the deep end and wrestled the beast without the actual tools to tame it. Reading the Help FAQ pages will greatly tame the beast. Authors need to first register with Lulu which takes a few minutes and they can then log on to their own ‘My Lulu’ page and create a book project. Using the Lulu online book creation software, an author can load up book files in document or PDF format to the PDF converter, design a template cover, also load up their own original cover art or use Lulu’s image library for the book cover. On completion of a book, authors them fill in information about their book such as a description for their store front on Lulu’s own online bookstore and choose pricing and margins of profits. The beast has many teeth and Lulu also offers options to produce mini pocket books, brochures and calendars. From my own experiences using the Lulu site and having published two books with them, I would strongly recommend downloading the Mozilla Firefox web browser (available for free). Sometimes this kind of online design software can make MS Internet Explorer a little unstable, though I have not heard of any recent problems since Lulu introduced an updated version of software in 2009. There seems to be a wide view on Lulu and on other web forums, not mind by their own staff and web site help pages, that authors should preferably have a PDF file of their book interior to load up to Lulu’s converter. PDF is a digital standard used for print files in the book publishing world, but Lulu’s converter will happily do this from a pre-prepared Microsoft Word file. That is, so long as you have been careful to correctly format your Word file, paying particular attention to customizing the page size, margins, headers & footers, using page breaks, page numbering, and section breaks. The Lulu converter will happily authenticate and replicate yours pages exactly as you have prescribed. Though I have no experience of them, I would suggest if you are preparing an art-book, an illustrated book, a book containing detailed diagrams and tables, unusual foreign scripts, non-standard fonts (Lulu list their standard fonts), then, yes, you really need to load up a finished PDF file with all images and fonts fully embedded. I used a 6 x 9 Word file template which I downloaded from the Internet, though Lulu now provide a page template word file which can be downloaded from their website. The book template files available on the Internet tend to be more complete and including title pages, copyright page, index page, chapter pages etc. Many of these have the footers and headers, page numbering and section breaks set up already. It is simply a matter of copying the text from your original manuscript and doing a paste special to preserve the pre-set formatting in the template. As an overview of your overall Lulu book project, I would concede that you do need to be pretty proficient using Word, if that is to be your file choice, and do not practice lazy habits like using the space bar to position text and not using proper paragraph space indentation etc. The best advice I can give is to pick your favourite book from your bookshelf at home and replicate it in your book template. When I say favourite book, I mean, the most visually appealing book. Study the layout, pay close attention to the copyright pages and title pages. Most mass produced books are quite consistent in their layout, they differ only in things like design style, size and font type, amount of words per page etc. Remember, you want your book to look as professional as possible. The books that have gimmicky fonts, poorly aligned margins, blank lines between paragraphs, exaggerated paragraph indents (or no indents at all! ), page numbers showing on copyright and title pages, copyright pages that have ‘©Sid Snott 2008’, and nothing more; they look amateurish from the moment the book is opened, let alone read. My final impression of using Lulu for my own book projects is that you will not get it right first time. If you really want a finished proof delivered to your doorstep that you can be happy with, then, prepare your file properly, when you see it visualised on Lulu’s previews, you will want to change things, revise your file and have another go. Only approve the final book when the first proof hits your doorstep and you have carefully checked it thoroughly, inside and outside, for errors and poor design. Do remember, Lulu books may seem reasonably priced on their own storefront, but there are considerable mark-ups if you choose a global distribution pack and it becomes available on online retailers like Barnes & Noble and Amazon, Waterstones and Blackwell. You can virtually add 50% to the retail price. Lulu did revised their services in the Summer of 2009 and have three distribution options. This makes your book only available through Lulu and Amazon, but with no retail mark-up discount applied. However, this service is pretty limited (bordering on pointless) as books with an ISBN or hardcover are not eligible. This option lists your title in major bibliographic databases and all online distributors as well as brick and mortar bookshops with the ability for them to order it if requested by a customer. Lulu have dispensed with their previously popular Publish by You option, however, Lulu does allow authors to use their own assigned ISBN’s they have already bought directly from the ISBN agency. They also offer a series of publishing packages. It is important for those using Lulu’s services that the proof and revision stage is absolutely critical to get everything working and looking just right if you are to avoid the frustration of approving the book and still finding it filled with errors. This crucial stage should not be rushed for the sake of quick publication. Get all your revisions done no matter how many revisions it takes. If you intend using Lulu a number of times, or for that matter any printer/publishing service, I would suggest applying directly to the ISBN agency and buying a block of 10 ISBN’s for £108 ($275). There are strong indications that ISBN’s are going to undergo significant price reductions in early 2010, having already been reduced this year. Lulu at one stage was far ahead of the pack. Now, there seems a shift towards the more conventional publishing packages and they are no longer quite the same exciting and competitive DIY publishing adventure. Their software tools remain top notch for authors but they no longer have the price strength of Createspace and I believe over the next year others will come along. As with many services offering free set-up, book unit prices tend to be expensive and the author is caught between the need to earn a decent royalty profit, which Lulu allows to be set above the a minimum price, but also make their book’s retail price as competitive as possible for the marketplace. That said, Lulu remains an exceptional option for the self-publishing author with an array of options few others can come close to. If you want to undertake the excitement of a DIY self-publishing book project, and are not afraid of book design and getting your hands dirty—outside of Createspace or going directly to Lightning Source—you can’t go too far wrong for a first experience of self-publishing. With the self-publishing industry becoming more competitive, the serious self-publisher may find Lulu has limitations if the book is intended as a serious profit-making project. Thanks for another in-depth review, Mick, it’s a terrific post. As a Lulu.com author, your comments carry a lot of weight. Although, as a book designer, I see a lot of books from Lulu that don’t look as good as they might, it’s unarguable that they are providing a fantastic service to thousands of authors who might not get into print otherwise. I do agree Joel. And that is the nature of the beast Lulu. I think too many authors rush into a book project when they come across a service like Lulu because getting a book out there becomes the be-and-end-all of their publishing vision and aspirations. It’s a bit like turning the Random House book design team over to an author for an hour and they tend to focus on the expedited end product rather than planing what they need to get there. While I do understand an author’s eagerness to see their published book – it is mindboggling how hands-on authors can get to the production of a book in the recent few years. I used Lulu twice. Once on a do-it- yourself project and one where I paid for professional services. I had no problems at all for my do-it- yourself project but a completely different story for the professional services. I spend over $500 for professional services. I did not receive my full services and have spent months submitting and resubmitting help desk tickets to get this matter resolved. Nothing! Stay away from the professional services unless you have money to waste or time to lose! The worst customer service ever!!!! I would agree with your comment Mr Booker, its a great post. Lots to think about there. I, like most people think I may have a book in me waiting to be written, but where do I start?. With a modest design background I could perhaps be tempted to start with the design of the cover, just to give me a focus, a starting place to roam and play or even hide in. I wonder what my nugget of inspiration would look like? You ave me thinking, thanks LuLu.